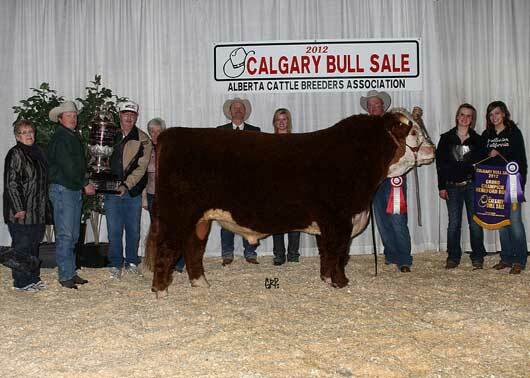 The 2012 Calgary Bull Sale’s grand champion Hereford came from consignor S. Nixdorff & Sons of Airdrie, Alta., and was bought for $25,000 by Fenton Herford Ranch Inc. of Irma, Alta. Calgary Stampede Photo Credit. Strolling through the Calgary Stampede’s Agriculture Building, and watching the bidding in the Victoria Pavilion, Mabel Hamilton couldn’t escape a strong sense of anticipation. If they could feel it in the barn, organizers of the world’s oldest continuous consignment bull sale sure couldn’t miss it in the books. 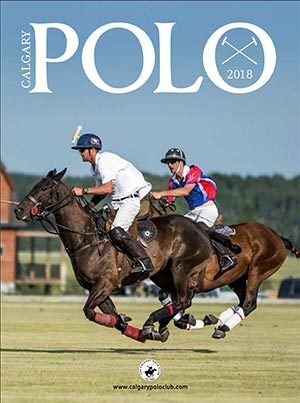 This year’s Calgary Bull Sale rang up total sales of $1,380,675 — a jump of more than half a million dollars over the 2011 edition, and the highest total since pre-BSE in 2003. And with 205 bulls sold, the average price was $5,726.83, easily the highest such figure of the new millennium. “This tells me that the industry maybe has turned a corner,” said Hamilton. 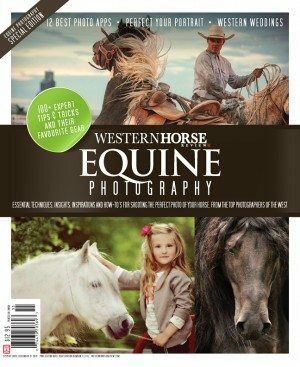 “It is a case of supply-and-demand (with the Canadian herd falling to an 18-year low of 13.87 million head last summer). But I was cautiously optimistic before we went into this year’s show . . . and it met all my expectations, and then some. 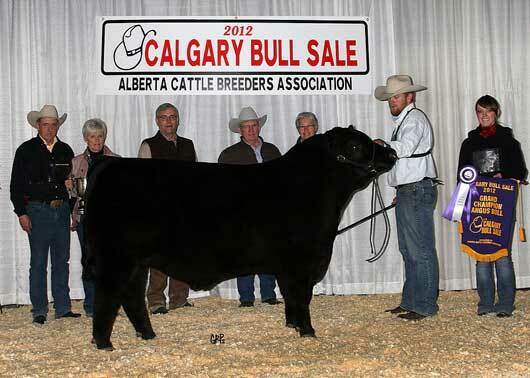 The 2012 Calgary Bull Sale’s grand champion Angus came from consigner Belvin Angus Farms of Innisfail, Alta., and was purchased for $26,000 by LCL Angus of Coronation, Alta. Calgary Stampede Photo Credit. The Calgary Bull Sale, unsurpassed in reputation and longevity, boasts world-renowned genetics and sees consignors offer top bulls from Hereford, Angus, and other breeds to commercial ranchers or fellow purebred producers from across North America. An industry barometer for the rest of the bull-buying season, the Calgary Bull Sale is also a benchmark for the Canadian cattle industry, which has been buoyed by soaring market prices for calves and fat cattle since the fall of 2010, as well as recent positive developments from the export market. 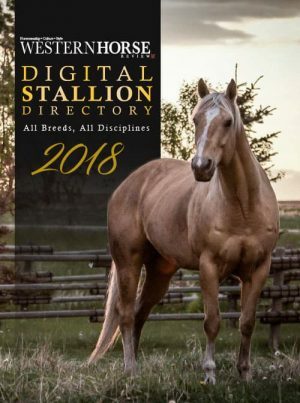 This year’s sales total of $1.38 million included 15 ranch horses, which sold for a total of $101,800, and the first-ever Commercial Replacement Heifer Pen Show and Sale, sponsored by Pfizer Animal Health, which saw 15 pens of five heifers go for a total of $104,875. The average sale price among 126 Hereford bulls sold was $5,930.95, while the average sale price among 77 Angus was $5,442.86. This year’s top-selling bull was an Angus from consignor Belvin Angus Farms of Innisfail, Alta., purchased for $26,000 by LCL Angus of Coronation, Alta. The top-selling Hereford came from consignor S. Nixdorff & Sons of Airdrie, Alta., and went for $25,000 to Fenton Herford Ranch Inc. of Irma, Alta. The top-selling Simmental, offered up by Pieschel Farms of Airdrie, Alta., was bought for $4,000 by White Lake Colony of Nobelford, Alta. The 2012 Calgary Bull Sale’s grand champion Angus was the same top-selling bull mentioned above, while the reserve champion Angus, a bull from Lorenz Angus Farms of Markerville, Alta., went for $7,500 to Dalrene Farms of New Norway, Alta. The grand champion Hereford was the same animal mentioned above. The reserve champion Hereford, from MN Herefords of Airdrie, Alta., was purchased for $16,000 by Errol Verbeek of Evansburg, Alta., and Eureka Hereford Farms Inc. of Eureka River, Alta. 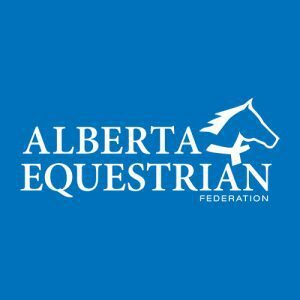 The top volume buyers were Guenther Ranch of Consort, Alta., Pipeline Grazing Co-op of Medicine Hat, Alta., WA Ranches Ltd. of Calgary, Miller Ranches Ltd. of Hanceville, B.C., and John Simkin of Veteran, Alta.